Today marks not only the beginning of Black History Month, but also the anniversary of the historic Woolworth’s Sit-In, which took place on February 1, 1960 in Greensboro, NC. 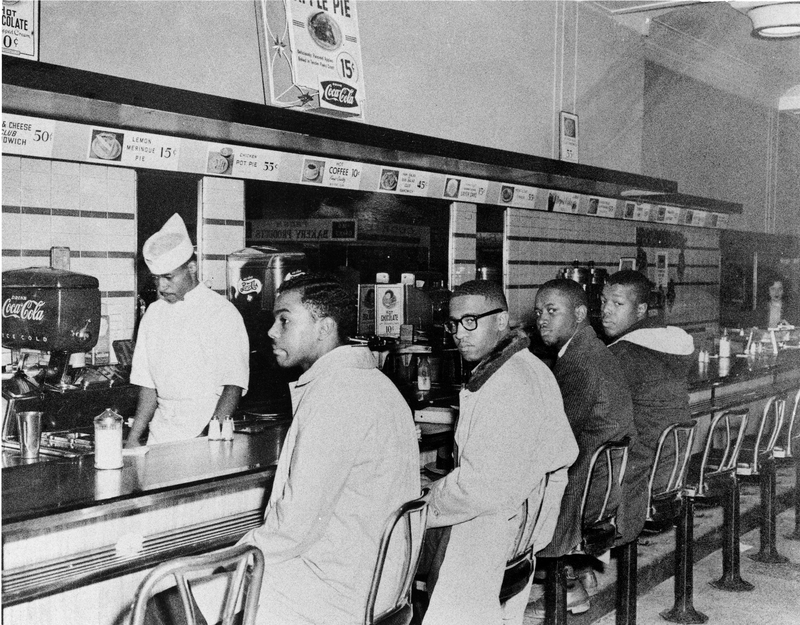 Four amazing young college students did the unthinkable…they sat at a “Whites-Only” lunch counter, in the segregated south. This act of bravery helped spark the civil rights movement. They are (and always have been) examples to me of steadfastness and standing by one’s principles…even when those principles aren’t popular. There are many lessons to learned from this act that took place 51-years-ago today.